I don’t share the degree of concern expressed in the article over the Islamic Party specifically. Jawed Anwar and his “party” are the least of our worries. Far more dangerous is the ongoing infiltration of mainstream political parties by Islamists. 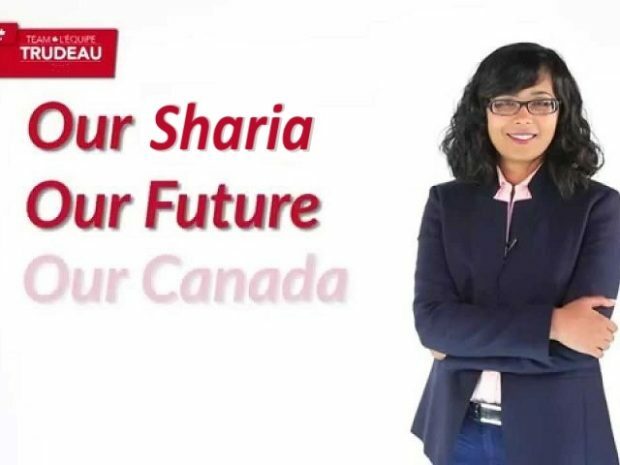 M103 was a dangerous assault on freedom, a testing of the waters by the Liberal Party’s Islamist 5th columnists at making criticism of their cult illegal. The final report was muted due to the public outcry about its vile intent though Liberal Party apologists in the MSM attempted to paint it as a beneficial effort to civilize the tone of public discourse. The enemy is inside the gates. Islam and its useful idiots are well embedded in Canada’s culture and its institutions. The Cleveland doctor Lara Kollab recently outed for her anti-semitism is not an outlier. Her views are commonly held within the Muslim community and no amount of “interfaith dialogue” will change that despite what the useful idiots say. How could Touro, an Orthodox Jewish institution, have allowed Lara to attend or graduate from Touro? I am guessing that Ms. Kollab, unable to get into an allopathic medical school, targeted osteopathic institutions with somewhat lesser entrance requirements. Touro, demonstrating a lack of prejudice against those who claim Palestinian heritage or ties, and correctly wanting a diverse student body, was in the wrong place at the wrong time. However, her incredible 2012 posts while still at John Carroll were out there to see, and I cannot believe that Touro would have knowingly taken anyone with such hatred of Jews, and who espoused violence as Lara did. There was a major failure in the Touro admitting process. Take a long look at the work Canary Mission has done exposing Islamist Hate. Special attention has been paid to Islamist activity in universities and colleges. What they have uncovered is evil. An evil both wide and deep espoused by Islam’s best and brightest attending some of North America’s finest educational institutions. They are the very best Islam has to offer in return for sanctuary within our welcoming borders.